Stock car in Charlotte, North Carolina; photo by Chris Johnson on Flickr (noncommercial use permitted with attribution / share alike). 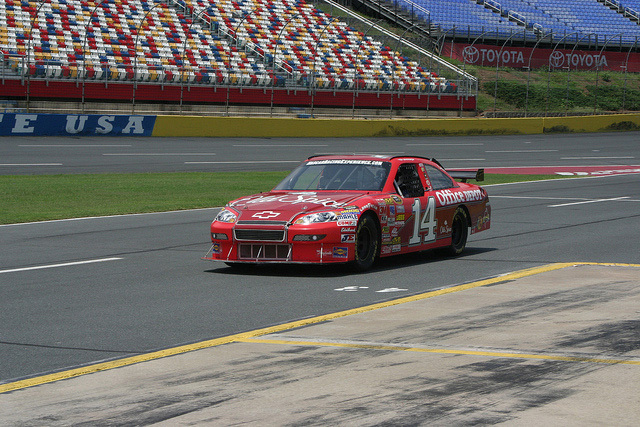 North Carolina designated stock car racing as the official state sport in 2011. Stock car racing has played a significant role in the history, heritage, and culture of North Carolina. North Carolina is the home of the stock car racing NASCAR Hall of Fame and the NC Auto Racing Hall of Fame. Charlotte Motor Speedway hosts three stock car races annually in the NASCAR Sprint Cup series (the most in-season Sprint Cup events held at a single motorsports facility in the United States), and Charlotte Motor Speedway attracts more than one million visitors annually.